Are you curious to discover unusual hotels or marvellous alcoves? Sleeping by the sea has always been your dream? Sardinia is full of hotels and apartments ideal for holidays, but if you are looking for where to stay to live a special and memorable experience choose one of these structures of which I am about to tell you. Lulled by the sea and awakened by the sound of waves crashing on the keel of the boat, I admit this is my dream. In Sardinia, this can become real for you! By choosing to spend the night in one of the boats located at some marinas along the coasts of Sardinia, you could be in contact with the marine environment and pretend, for once, to be like Christopher Columbus. But remember, no shoes on board. You have to walk with socks or bare feet like real sailors. 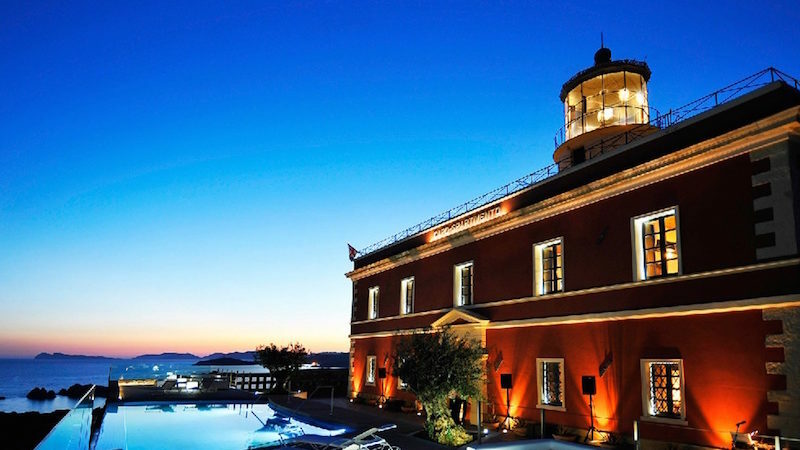 In the extreme tip of Sardinia, which looks towards the African coast, there is a magical place that illuminates the night: the Lighthouse of Cape Spartivento. It was built in 1856, it was equipped with a still working lantern and in the past it was occupied by the Nazis. After undergoing through a restoration, it now houses a luxurious accommodation and is an ideal location for various types of event. 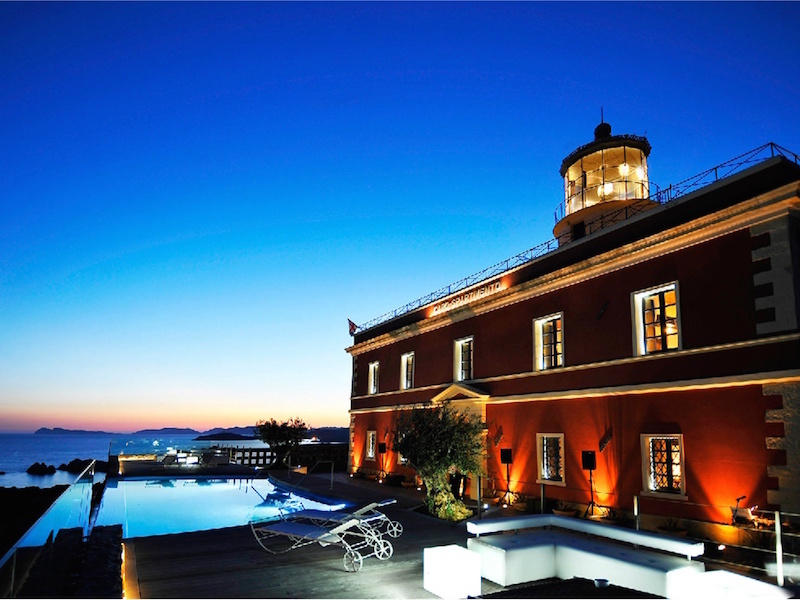 The area around the lighthouse is closed to traffic (guests can reach the building by shuttle), it offers a unique stay in a relaxed and quiet atmosphere with a breathtaking view on the sea below. Would you like to book the lighthouse? Click here. The island of Asinara, in the northwest tip of Sardinia, is a protected area in which resides permanently only one person, a sculptor. This small island, characterized by the presence of white donkeys, is a destination for many tourists that choose it for a short hike through its untouched territory; in the past here there were castles, towers, villages and even a maximum security prison that worked until 1998. For your stay at Asinara, the only available accommodation is the Hostel of Cala D’Oliva. This former home of the guards of the prison, can accommodate up to 70 people and allows you to walk to Cala Sabina, a white sand beach and turquoise sea. The building is decorated in a simple and spartan style, but ensures an environment of peace and tranquility in the midst of nature. There is nothing more Sardinian of dealing with the pastoral life. Lunch with the pastors, hiking the trails created by the herds, visit typical dairies, there is plenty of activities to choice to immerse yourself in the main traditional activity. For something more unusual, you can opt to stay in a sheepfold (ovile in Italian language, cuile in Sardinian dialect) under a conical roof made of wood. These old shelters for shepherds let you sleep in a simple and quiet room, in pleasant places and surrounded by nature. There are several of them on the whole region, especially in mountainous areas of the center, you will not make it hard to find them!